Comments: Broadleaf evergreen flowering tree from Tibet in central Asia. 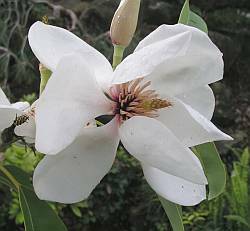 A close relative to the magnolia, this species shares many characteristics; dark green leaves, white to creamy white flowers, and conic to oval mature shape. 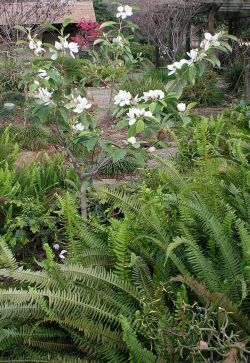 The specimen is relatively young and therefore small, but mature trees of this species don't get very large--15 to 25 feet tall.